We have been in serious planning mode since, well, since we got this crazy idea and moved to SC. We don’t have much to hold us accountable, except for each other. So, we thought we might start sharing our annual plans on this space in hopes that the internet might do a better job than we’ve been doing at the accountability thing. Our main goals will pretty much always be the same, every year, as they should be for anyone planning a self-sustainable homestead/small farm: soil fertility, vegetable production, livestock, and water. The specific actions under each goals will be what changes from year to year. We added long-term planning as we need to keep some other things on our agenda too. Without further adieu, here’s what 2013 has in store for us. I’d love to hear any comments and/or thoughts about what we put together. I added some comments and explanations so it might be easier to follow along. A. Build up compost production – We are thinking about adding worms. Anyone recommend/have experience with worms? We are also thinking about trying to source old hay from community members. We’ve read a lot from Elliott Coleman and his hay compost. Last thought we have on this is to try a kitchen scraps collection from the community. B. Seed a few different areas with good grasses – Building up good soil where we think we might add vegetable growing space and rotational grazing for livestock in the future. 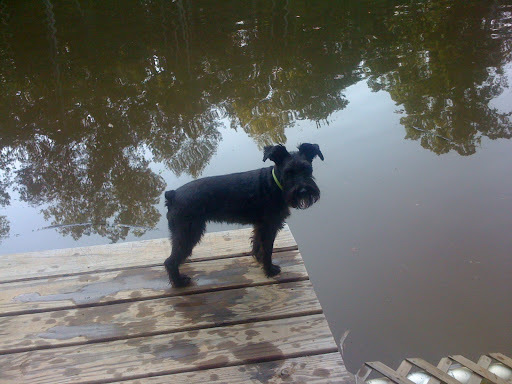 C. Fish – We have a bazillion fish in the small pond on the property. We really need to reduce the amount as they have started producing offspring. We’d love to figure out an easy, sustainable way to use this as an additive to our soil that so badly needs nutrients. A. More growing space – As you might have gotten the drift, our soil is not so good. In order to grow short-term, we have installed some raised beds. We are expanding our raised beds to have 5 that are approximately 6 feet wide and 30 feet long. We have some other areas that we grow in (potatoes, kitchen herbs) and we hope to continue expanding and finding good areas to grow. B. Keep better records – We need to be way better about keeping garden logs and records. Growing in the clay is not easy. The best way to up production is to figure out what grows best and eventually under what conditions. We started a great system with our hens a few months back and it has helped us better understand dips in production and hopefully be able to predict those dips in the future. C. Add mushroom logs – We have the ideal climate and landscape for growing mushrooms. Wet, hot, shady: wild not for eating mushrooms grow everywhere on our property. All we have to do is “knock up” some logs! D. Preserve – We didn’t do a great job of this last year. I think it was the bowling ball in my stomach and the thought of turning on the oven in the summer that deterred me. And after the bowling ball came out, forgettaboutit. A. Pigs! – Stay tuned for some awesome development in the category! 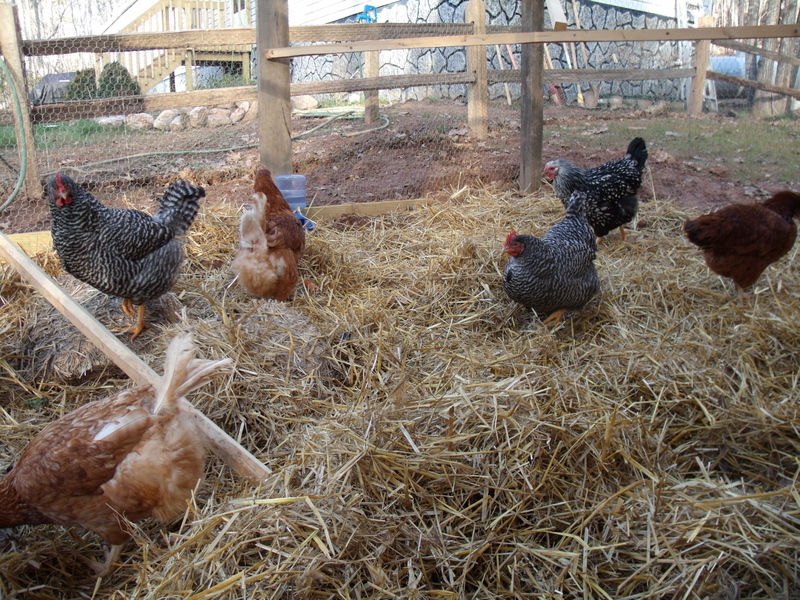 B. Chickens – We already have 18 chickens (1 rooster, 17 laying hens) for eggs. We will be adding to that this year with another flock, mostly for meat production and a couple extra layers. 4. Water – We don’t have many goals under water this year. We will continue our rain water collection (with some new barrels! ), but we recognize this is an essential piece of running our homestead. A. Nut trees – We really wanted to plant a pecan tree to celebrate baby girl’s birth, but didn’t as we felt a little overwhelmed at picking a good spot and ensuring success. We’ve done some research and need to do more, but would really like to add a few nut trees on the land soon. B. Berry patch – I see some of these in the future. I need some of these. Soon. 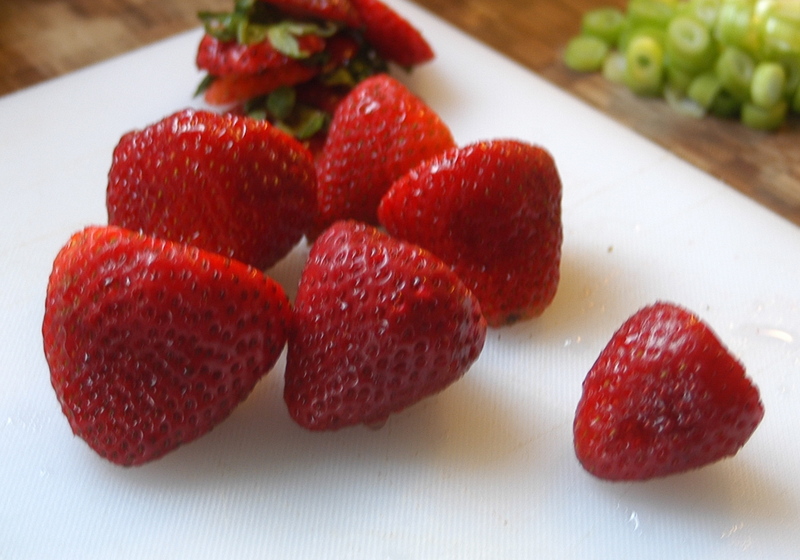 I can’t find non-sprayed strawberries in this area and it breaks my heart! This is under long term as we want to find a great, permanent spot. C. Pasture area – For those of you who might know us might be questioning why this next year we only plan to add chickens and pigs. It has been a long time desire to have goats. And while this might be a good decision down the road, it’s just not the right decision for us now. We don’t have an ideal spot, but the main reason is because they don’t fit into our lifestyle now. With both of us working and taking care of baby girl now, adding 2x day milkings just seems too much. In addition, we have an AMAZING dairy community here. We have access to raw milk ($5 gallon, whattt? ), lots of goat farmers which means local cheese, so we really don’t need to add goats now. The price of pork however is rising and we love pork. So pigs for now and down the road we hope to build up some pasture areas and add goats/sheep and maybe even a cow. This entry was posted in Uncategorized and tagged farm, plans by callywoodfarms. Bookmark the permalink. Oh and you will want red wigglers for compost and earthworms for your beds! AND if you want to use Elliot Coleman’s recipe for potting mix in “Four Season Farming” you can take your finished compost with the worms put a big pile on a nice sift, stick it in the chicken house, allow the chickens to scratch it and sift out large materials (and worms) and take the finer stuff for your potting mix- this I believe will also contain worm castings. Less inputs and more reusing of the materials around your place. Of course you need multiple compost piles with worms in them to keep up the worm population. And for cattle and grasses- be sure to look up the latest rage in the southwest- Pasture Cropping and Holistic Management. Thanks FDK 🙂 Definitely going with red wigglers as we’ve heard that from so many. Thanks for laying out the plan/flow of the worm compost. Hopefully we’ll get that running soon. Miss you terribly and please come back to the South to visit soon! Best wishes! Your homestead plans sound a little like ours. Although we have no trees, we do have the clay soil. We’re scheduled to receive 8 chickens this spring. This will be our first experience with them. I hope all goes well for you. Following along through Google reader.